The Pantone Color Matching System is the dominant spot color printing system in the United States. The company's Pantone Plus Series is designated for graphics and multimedia use. Each solid spot color in the Pantone system is assigned a name or a number, which is followed by a suffix. The suffixes once made the system confusing, but the company has streamlined suffix use in recent years. C - indicates a spot color as it appears when printed on coated or gloss paper. U - indicates a spot color as it appears when printed on uncoated paper. Are Pantone 3258 C and Pantone 3258 U the same color? Yes and no. While Pantone 3258 is the same ink formula (a specific shade of green), the letters that follow it represent the apparent color of that ink mix when printed on coated or uncoated paper. Sometimes those two are very close matches, but sometimes they are not. Pantone Guides are swatch books—printed samples of spot color inks—printed on coated and uncoated paper. Commercial printers and graphic designers rely on these swatch books to make sure the color they want for a project is exactly right. In the world of printing ink on paper, the gold standard color tool has long been the Pantone Matching System. The PMS system includes formula guides and solid color chips that contain almost 2,000 spot colors for printing ink on paper. When a commercial printer needs a large amount of specific color ink, he'll purchase it. However, if the company needs only a small amount of a color it doesn't print often, a technician mixes it following the instructions given in the PMS guide. This is not the same as simulating the color in CMYK. CP - indicates a spot color as it appears when printed as a four-color process equivalent on coated or glossy paper. UP - indicates a spot color as it appears when printed as a four-color process equivalent on uncoated paper. 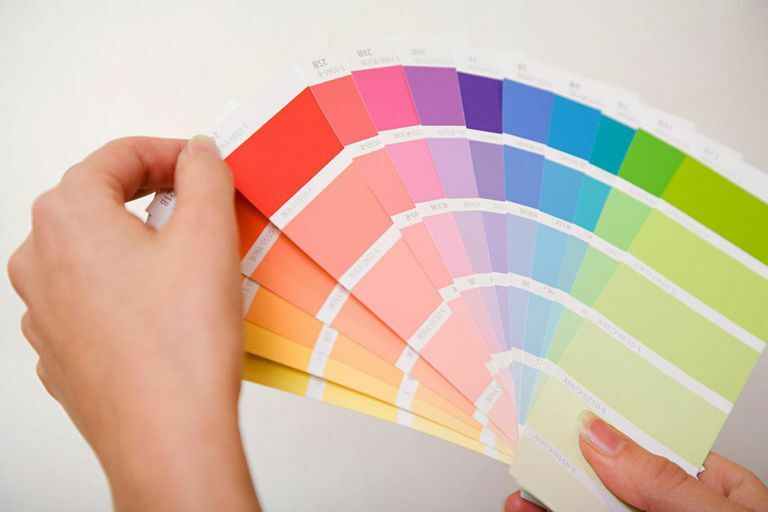 Pantone has discontinued use of the M suffix, which indicated a color printed on matte paper. In addition, Pantone no longer uses the following suffixes it once licensed to older versions of Adobe Illustrator, Macromedia Freehand, QuarkXPress and Adobe Photoshop. CV - computer video, electronic simulation. CVU - computer video, uncoated paper simulation. CVC - computer video, coated paper simulation. So, which suffix designation should you use when specifying colors? It doesn't really matter as long as you are consistent. 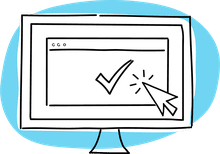 While Pantone 185 C and Pantone 185 U are the same ink formula, your software may see them as two different colors, even if your monitor shows them as virtually identical. If Pantone 185 is the shade of red you want, use either Pantone 185 C or Pantone 185 U but not both in the same print job. Remember, what you see on the screen is simply a simulation of the printed color. To ensure the most accurate color, use Pantone Guides to find the right ink colors for your project.